CHICAGO, IL – To share their sentiments on the ratification of the Equal Rights Amendment (ERA), a panel of women will speak at the Illinois House Human Services committee hearing on Monday, May 7 in Chicago. CHICAGO, IL – On Saturday, June 9, the North Lawndale Envisioning Justice community will come together to celebrate and publicly present the arts and humanities work they have been doing to envision and ensure criminal justice reform. Art created by residents will be on display, followed by an interactive discussion on police relations between residents, representatives from the Chicago Police Department and North Lawndale community leaders. This Open House is one in a series of events produced by Illinois Humanities and Envisioning Justice community partners (Hubs) over the past month to bring Chicagoans from all areas and walks of life to the same table to share the culmination of a ten-week session of arts education classes and community discussion programs. To date, Envisioning Justice Open Houses have been held in Back of the Yards, Little Village, Rogers Park and Bronzeville. Speakers will share some brief thoughts followed by smaller discussions on how community and police relations can be strengthened and what people in the room can do to help enact the change they want to see. BBF Family Services, with support from Urban Gateways, is directing Envisioning Justice in North Lawndale. Throughout the initiative, BBF will focus its arts and humanities programming on restorative justice and re-entry back into the community. About Envisioning Justice: Created and facilitated by Illinois Humanities, Envisioning Justice will engage Chicagoans, of all neighborhoods, races, socio-economic backgrounds, and with a diversity of perspectives, in a citywide conversation about the impact of incarceration in local communities and will invite residents to use the arts and humanities to devise strategies for lessening this impact. Envisioning Justice seeks to strengthen efforts to reimagine our criminal legal system and is inspired by the goals of justice, accountability, safety, support, and restoration for all people. Follow #Envisioning Justice at @EnvisioningJustice on Facebook and @envisionjustice on Twitter. About Illinois Humanities: Our mission is to strengthen the social, political and economic fabric of Illinois through constructive conversation and community engagement. They came. They learned. They participated. They created. And before PETAL et al.â€™s three-day Game Jam was over, participants had conquered the challenge of creating video games â€“ five in all â€“ which are now ready for public viewing and enjoyment. Many braved the arctic cold to show up daily during the weekend to complete their mission of creating a video game with team members. Global Game Jam Chicago @PETAL et al. 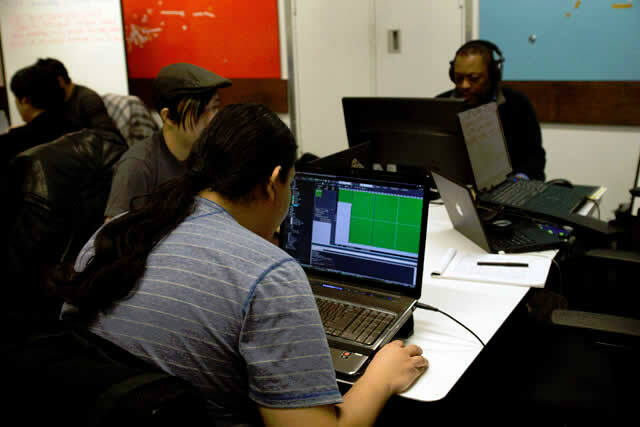 set a historical precedent â€“ holding the first all inclusive and free game jam in the city of Chicago. PETAL et al. hopes other organizations will consider hosting school neutral locations of this event in the city, which would give more people the opportunity to participate. The three-day event was held January 24 â€“ 26 at Next Door Chi located at 659 W. Diversey Parkway, in Chicago. PETAL et al. opened the event with a 2-hour game jam strategy workshop. Pamela McMillan, CEO of PETAL et al., in giving the Global Game Jam keynote address and theme announcement, told participants: â€œWe don’t see things as they are; we see them as we are.â€ For a second, there was a look of bewilderment on the faces of people in the audience. Six pitches were made, and four were chosen by the participants. After that, they broke off into teams and immediately started brainstormingâ€¦the game was on! One of PETAL et alâ€™s main goals is to level the field for everyone interested in the entertainment technology arts field. PETAL et al.â€™s training program is designed to prepare clients to reach their goals in making video games regardless of their educational background. â€œIt is important to help others no matter what their educational background. We want everyone to enjoy themselves as well; to make a game whether they show up with a team or not. No one will be left out or work alone while creating a game during the jam unless they want to go it alone,â€ McMillan pointed out. PETAL et al. held the event in conjunction with support from three local game development groups â€“ CEGD, Chicago Game Developers Commonwealth and the Indie Video Game Developers Association. Ignite Network and Gaming Lounge dropped by and donated free hours of game play to all participants.